We'll see you at Sunrise! 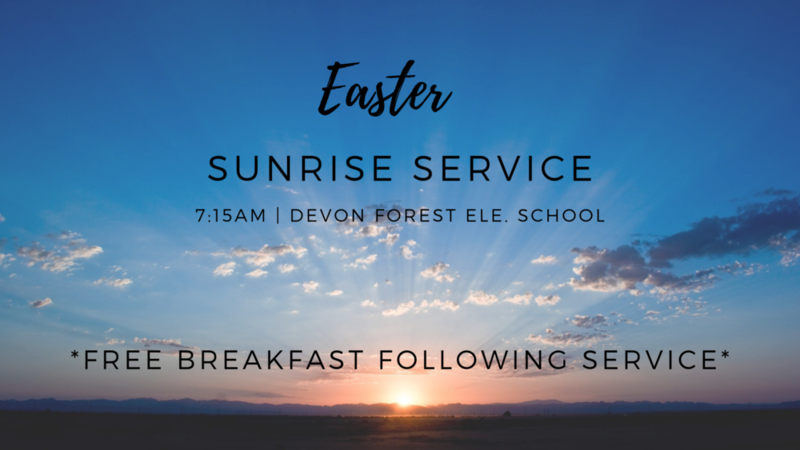 Join us for our first Sunrise service to celebrate the resurrection of Jesus. FREE BREAKFAST following the event. Please note this event is outdoors and no childcare is provided.